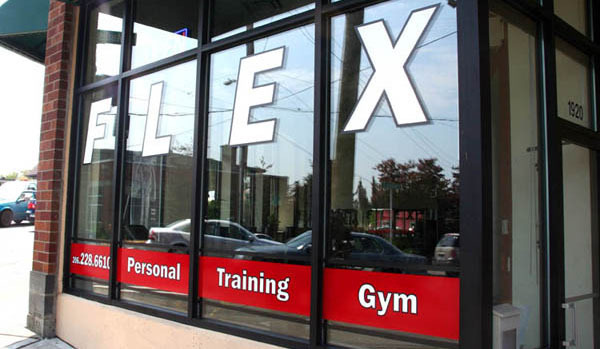 Window graphics are made with adhesive vinyl. They are made to last many years. There are less permanent options available (See Below). 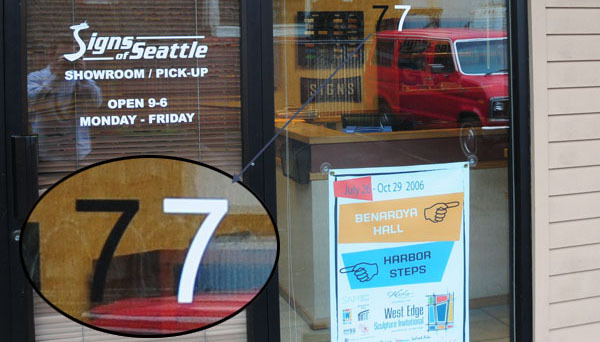 Typical window graphics, however, can be removed with heat and persistence and cannot be reused. 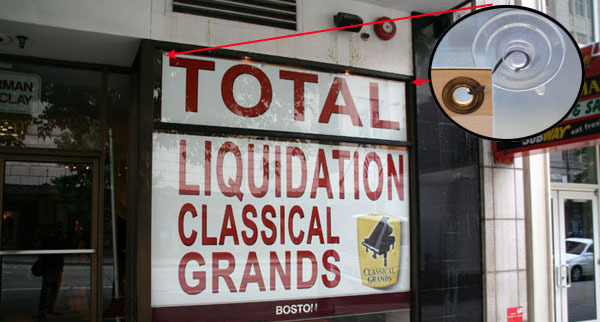 Cut vinyl is classic treatment for a storefront window. It comes in many colors and finishes, including metallics, and can be used to recreate simple logos and drawings in addition to text. This is a single color cut out. White shows up much better on glass than black. White or a light color vinyl is recommend for maximum contrast with the glass. For even better contrast more layers of colors are added to give the black outline around the letters and the red backdrop. This is classic brushed gold vinyl with a black outline for a subtle drop shadow. It matches the traditional feel of the office, and provides a clear identification for this law office. This vinyl can be used on interior or exterior doors, but it must be applied top surface (on the outer surface). 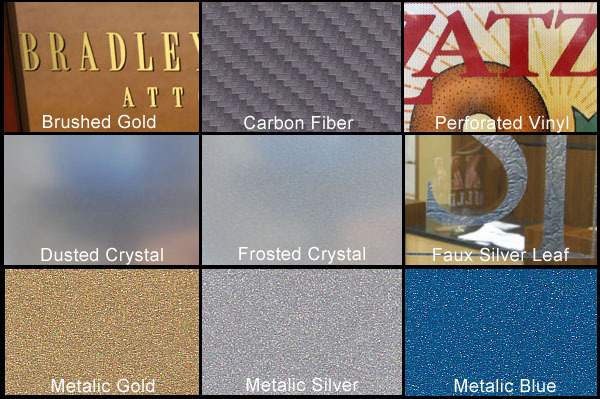 There are many more finishes available. We have sample swatches here in our showroom of the many choices. 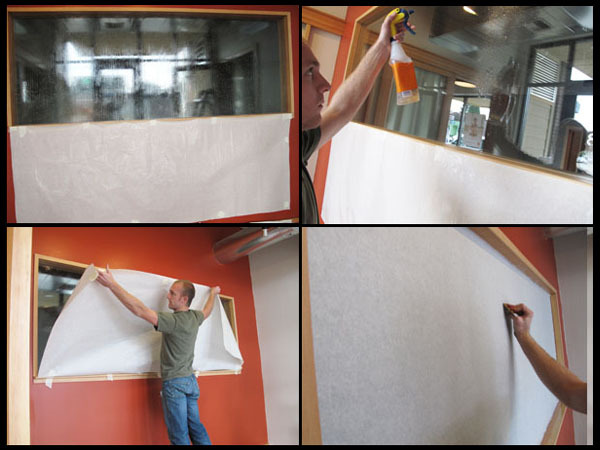 The colors available for vinyl window graphics are unlimited. 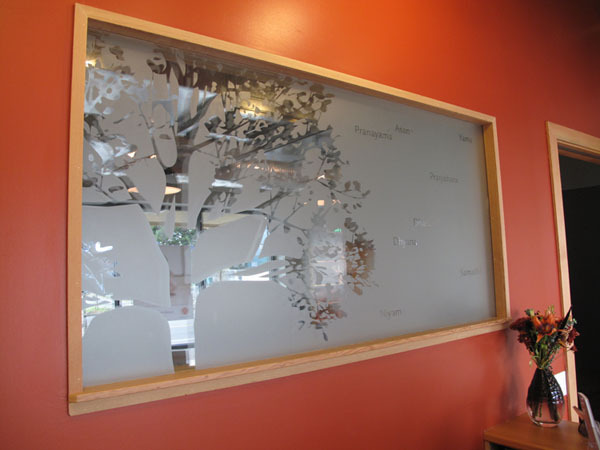 Traditionally window graphics were made from vinyl that came in specific colors form the manufacturer. With modern technology we can print most any color. If you have a Pantone or printed sample color we can match it. Here you can see the difference between graphics applied top surface (outside of glass) and subsurface inside of glass). The top surface graphics really pop, even with bright window glare. The subsurface graphics tend to get lost in the glare a little more, which is why we only recommend them in situations where vandalism is a concern. The sub-surface technique may not allow for the best contrast but the ethereal effect is desirable. 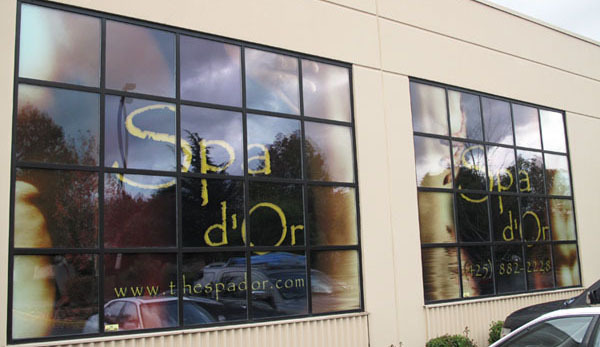 Printed Subsurface Because of its location in a high foot traffic area, This digitally printed window graphic is installed on the inside of the glass for extra security. The large bright background helps enhance visibility and ensures the white text really stands out. 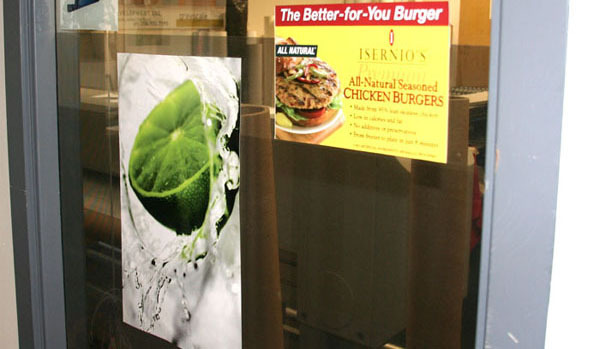 Static cling graphics are excellent for promotional and short term use. They can easily be installed by the user with a little water, and they can be repositioned repeatedly if necessary. If you store them carefully, they can even be reused. Low tack vinyl is made for short term installations. It’s stays tight in high wind but can be removed with little to no residue. The customer wanted to block the view through a window. 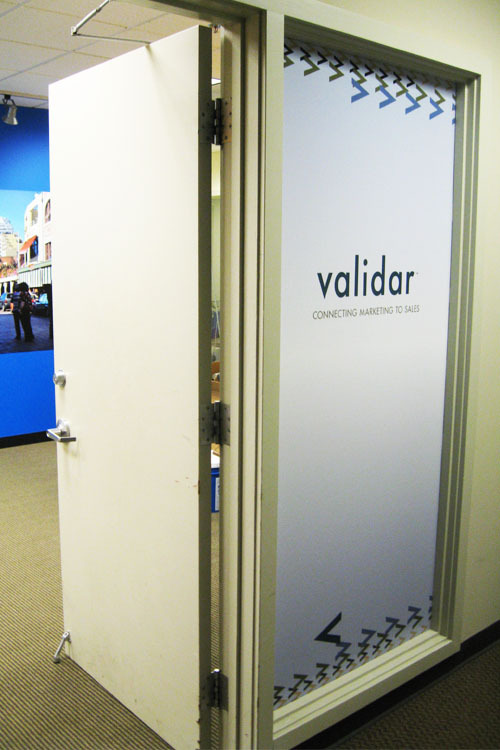 We used an opaque vinyl for complete privacy and the digitally printed logo adds a nice touch to the hallway too. The graphics are printed on the perorated material. Perforated window vinyl has tiny holes in it so that from the outside you can see the graphic but from the inside you can still see out. A graphic will be printed directly to the material. This application is called “wet application” The moisture allows the graphic to be repositioned once it is applied. Of course when the water dries the graphic is fixed. Can they go on tinted windows? The graphics can be applied to a tinted window over the tinted film but when they are removed they can damage the tinted film.